Logitech recently upgraded its G-series headset series with the following: G935, G635, G432, and G332. Besides, Logitech also launched G Hub, software for users to customize and manage personal profiles. New software with a modern and user-friendly interface than the old version. 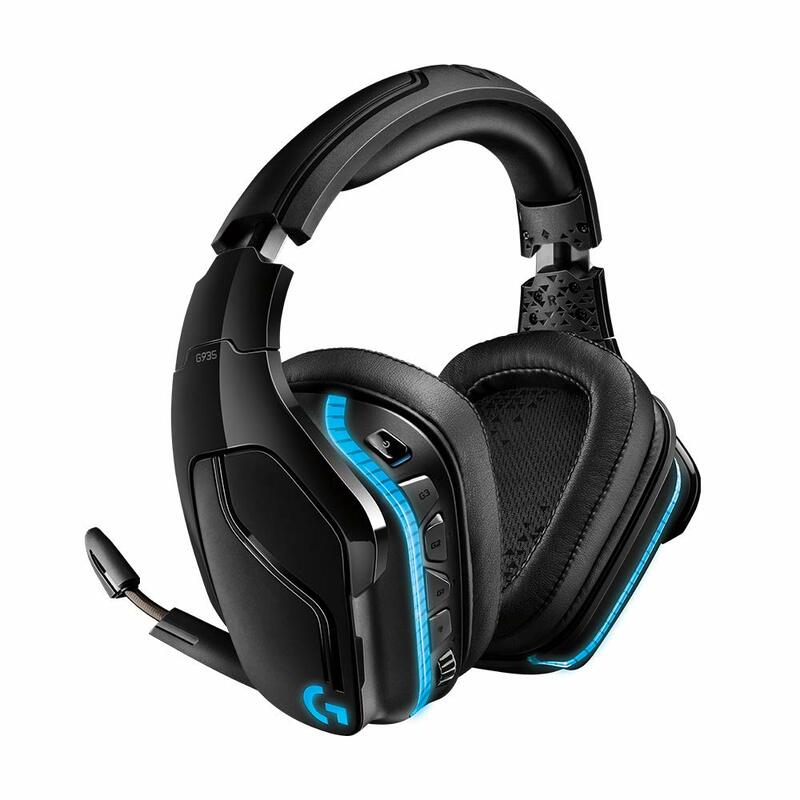 Logitech G935 is a $169.99 wireless gaming headset comes with a battery life of up to 12 hours. Meanwhile, the G635 is a $139.99 wired version with a cheaper price. Both are equipped with new 50mm Pro-G drivers, promising to deliver unprecedented sound quality on Logitech’s product lines. Besides Logitech also equipped with 7.1 surround sound system along with the advanced DTS Headphone: X 2.0 surround sound to help bring a great experience to users. Both are also equipped with beautiful Logitech RGB lighting system. With Logitech G HUB gaming software you can personalize Llightsync RGB lighting, program G-keys with macros and in-game commands, and customize audio preferences with unique profiles for each game and app. Both Logitech gaming headsets also mix audio from up to three devices at once. You can choose from PC, mobile and game consoles including Nintendo Switch, PlayStation 4 and Xbox One. The Logitech G432 is a $79.99 and G332 is $59.99 a cheaper gaming headsets with a slightly less design. However, both are still equipped with 50mm drivers as in the two high-end models above. The difference is that G432 is still equipped with 7.1 DTS Headphone: X 2.0 7.1 surround sound while the G332 comes with a normal stereo sound.